It's a lazy weekend (for some definitions of lazy), so here are some things I like. 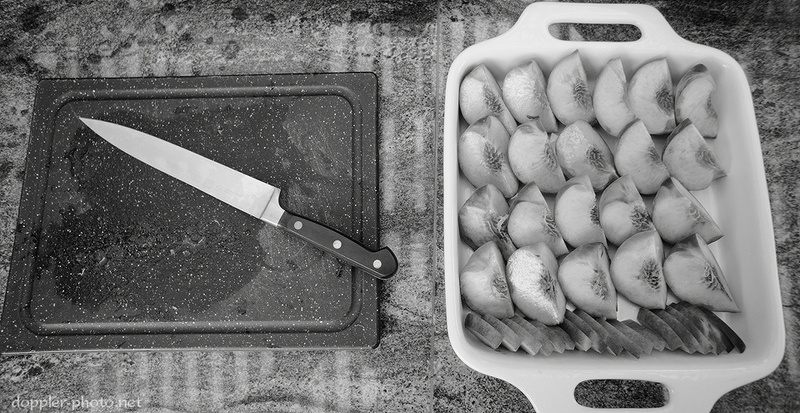 I like cooking, and I especially like prep work that involves cutting things :o) I accidentally ended up at a friend's dinner party, so when an opportunity came to quarter some peaches, I jumped on it. L is the mischief in me, so I tried to arrange them somewhat. They were delicious. So sweet, and so cold. I also like cars. Old, new, fancy, cheap, whatever; it doesn't matter too much. 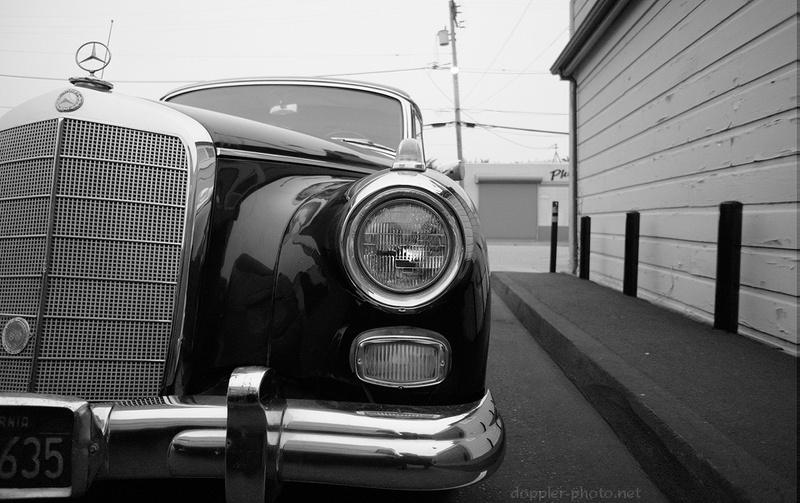 When I was in Half Moon Bay recently (the same evening that I shot "Classic" and "Overwhelmed"), I spotted this old Mercedes 300, clearly a distant ancestor of their built-like-a-tank 300D diesel cars (W123). As best I can tell, it appears that this is a 300c (W186 IV) — one of Mercedes' earliest-gen 300-series cars — and was built between 1955 and 1957. Nifty.